On Saturday, 7 April, at the beginning of our three week East Coast Tour of the USA Michael and I flew out of Mexico City with United Airlines (excellent service!) into Newark, New Jersey and found that we had traveled from 80 degrees to 40 degrees! Very chilly and a shock to the system! 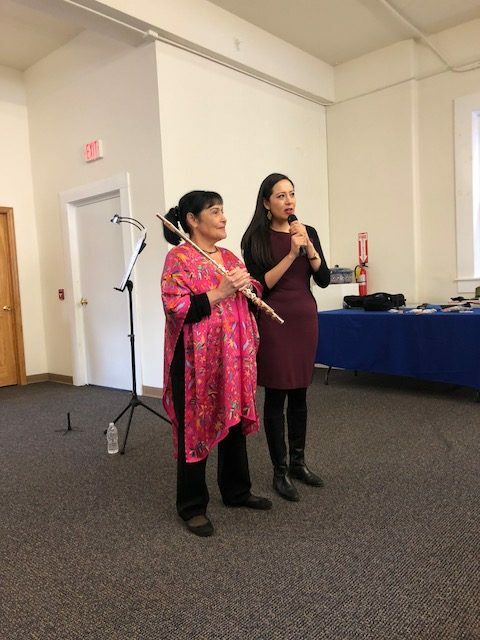 Our first concert was at Mi Casa Es Puebla in Passaic, New Jersey, where we received a very warm welcome from Ana Flores and her team. 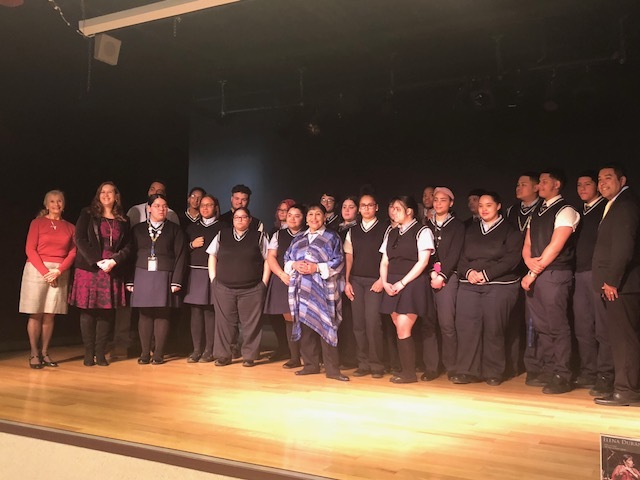 The concert was promoted and broadcast by Gallito Radio and they were also responsible for the sound at the concert – and it was The Best! The public response showed us just how powerful social media is these days! 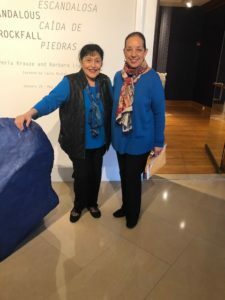 I was very happy to represent the state of Puebla once again and learned that more than fifty per cent of all Mexicans in the New York / New Jersey area come from that beautiful state. On Monday we moved over to New York for a delightful lunch with an old friend, Richard Somerset Ward, whom we have known for more than forty years. Richard is one of the great traveller and his letters from the road are fascinating and should be published! He has recently returned from South Africa and his next trip is to St Petersburg for the White Nights Festival. 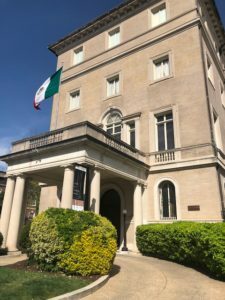 My concert, on Tuesday 10th, was at the Mexican Cultural Institute and we received another warm welcome from Caterina Toscano and Fernanda de la Torre who organized the concert and provided a post-concert reception. A particular joy was to meet Louis Peled and her husband Dan, an Israeli diplomat, since I had not seen Louise, a friend and student, for thirty nine years! Where did those years go? I was also very happy to welcome Rory Hayden and Elizabeth Howard two close friends of my sister, Dr Anna Durán, whom I had not seen for number of years. I was delighted to make another new friend, Todd Vunderink from Peer Music, Arturo Márquez’ publisher, and we had a long conversation about one of our favorite composers and the upcoming performances which I am giving of his ‘Concierto Son’ in the coming months. On Wednesday I spent the day working on John Rutter’s ‘Visions’ which I will be playing with him in Sala Nezahualcóyotl at the beginning of May when I get back to Mexico City. As always with John’s music it is a joy to work on and I am very excited to rehearse it and play it with him in concert. Michael had a meeting with another old friend, Sir Clive Gillinson, who is the Executive Director of Carnegie Hall, and caught up on the New York music scene. One thing that is really great is to be playing at sea level once again. Everybody knows that for athletes, exercising at 8,000 feet can be taxing but no one ever thinks how tough it is for musicians who play wind and brass instruments. The altitude makes a huge difference and although we put up with it (because we have to!) it really is a lot more comfortable to play at sea-level. Thursday was a heavy day with two Am Track journeys and a concert in Philadelphia. 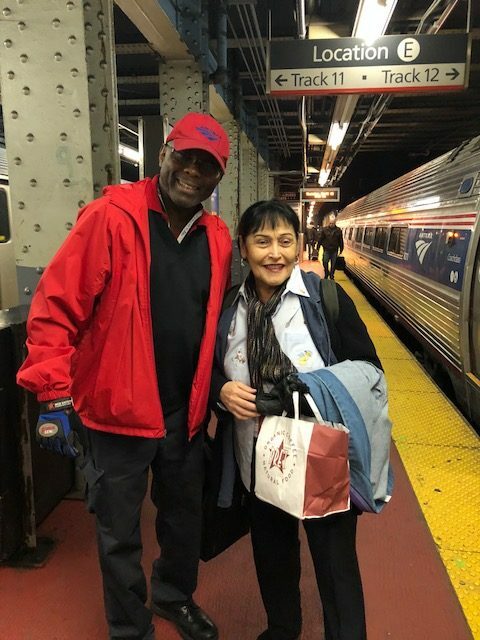 However, the Am Track trips were made easier with the help of four Red Caps (Bernard, Bob, Tony and Kendall) in New York, Philadelphia and Washington who helped us with our four suitcases, two wheelies and two backpacks! They also regaled us with their life histories and kept us amused whilst waiting for the trains. The trips were very comfortable and, most important, on time! 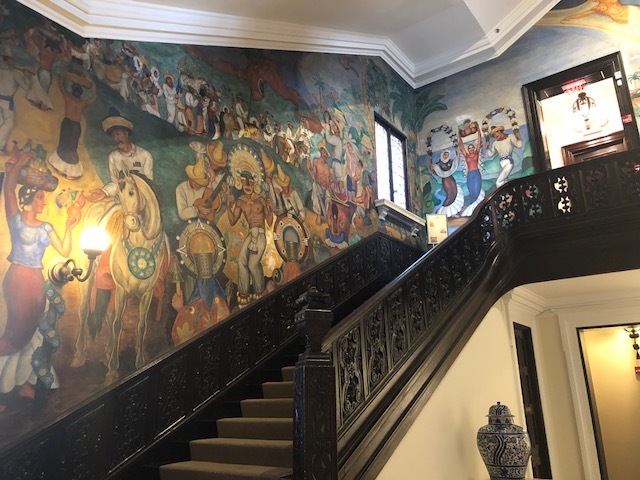 In Philadelphia, Ivette Compean from the Mexican Cultural Institute and her colleague Virginia were at the station to meet us and to take us to the Esperanza Academy, a Charter School specializing the Arts whose distinguished head is Jorge Calixto. Several hundred young people formed the audience and I found the experience, and the questions they asked, very stimulating. The student body is 95% hispanic and the level of achievement is exceptionally high. Tania Ramos, head of the Music and Dance Department organized the concert and Miguel Hidalgo-Monroy lent me his music room where I could ‘hang out’ before the concert. After the concert we returned to the station and headed to Washington DC where we found that spring had arrived. 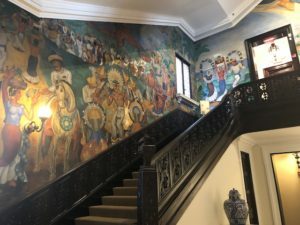 We had a wonderful surprise when we arrived at the Mexican Cultural Institute and we were greeted by Elsa Borja since she took us to the institute’s guest accommodation. We had envisaged a bedroom and a bathroom and discovered that we have a whole guesthouse all to ourselves. It was formerly the coach house attached to the main house has been beautifully converted into accommodation for visiting artists. It is spacious, comfortable and we could cook for ourselves and also catch up on a week’s laundry. 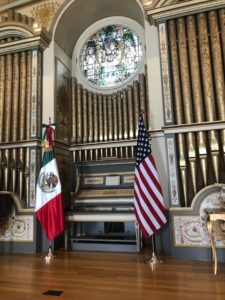 The concert itself took place on Saturday afternoon in the music room of the institute – a gorgeous room with fantastic acoustics which even has its own organ! Alberto Fierro, the Director of the Cutural Institute and an old friend, welcomed the audience which was very enthusiastic. For me, the highlight was to see a great friend of Mexico, Ambassador James Jones, sitting in the front row. Jim was US Ambassador to Mexico in the nineties when we were living there and has remained a very good friend over all these years. His wife of forty nine years, Olivia, passed away last year and I was able to dedicate Amorcito Corazón to her memory. I was very happy to meet Vasiliki Theodoropoulos, another friend of Anna’s, as well as making a number of new friends. I encouraged the audience to ask questions and it was a very lively and illuminating event. So our first week has been successfully completed! Now we have to catch up on the laundry, reorganize the packing and get back to Visions! From this point we can put our winter clothes away at the bottom of the cases and bring our spring/summer clothes to the top. Sunday was, allegedly, a ‘free day’ but truthfully there is never a free day on the road, there is always a lot to do. But it was great to be in Washington again at blossom time. Now we are about to set off for Raleigh, Atlanta, Orlando and Miami.